A glittering .26 carat round cut diamond rises above the surface of this classic engagement ring. 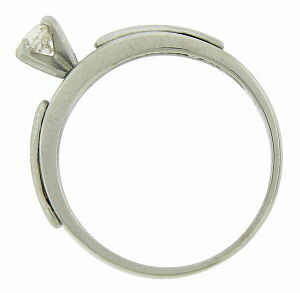 Simple raised bars adorn the shoulders of this 14K white gold ring. 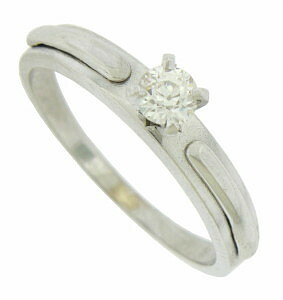 The ring measures 4.22 mm in width. Size 8. We can re-size.